Target: 6 American Greetings Cards FREE! Here’s a sweet Target deal….you can get 6 American Greetings Cards for Free! Final Cost = all 6 for FREE! Target: Electrasol Dishwasher Finish Tabs ONLY $0.25! Target Deals 2/6-2/12 Coupon Match-Ups List! Final cost = $0.27 each! Final cost = $1.09 each! Final cost = $0.74 each! Final cost = $0.79 each! Final cost = $0.75 each! It’s been reported that there are two tearpad coupons at Albertsons that will make for an awesome Tostitos deal at Target. Check around the soda and chip display. There is one for $1.00 off Tostitos, 9oz or larger and one for a FREE Pepsi 2 liter when you buy a bag of Tostitos chips and a jar of Tostitos salsa. Here is how the deal at Target would look with these new coupons. Final Cost = $1.45 for all 4 Items!! Let us know if you find these same tearpad coupons in different stores so everyone can be on the look out! 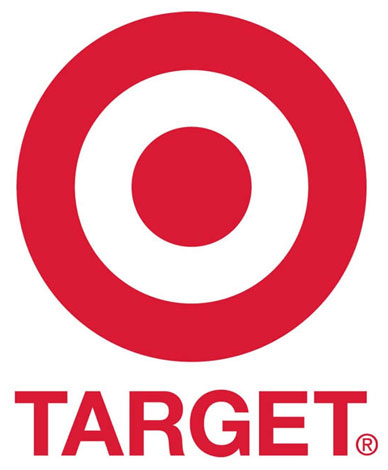 Target Deals 1/30-2/5 Coupon Match-Ups List! Final cost = $0.87 each! Final cost = $1 each! Final cost = $2.35 for everything! Use 2 of the $0.50/2 coupons here Final cost = $1.81 each! Final cost = $1 for 2 packages of Nabisco cookies + the cost of milk! Final cost = JUST $11.99 for a big pack! Final cost = $2 each! Final cost = $0.34 each! Hurry on over here (search “Daily Deal” and it will pull up) because today ONLY (until they sell out), you can snag yourself a Burt’s Bees Pomegranate Gift Set for only $9.99 (regularly $19.99!) 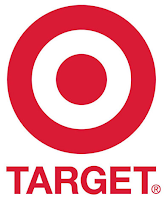 + FREE shipping from Targets Daily deal. Remember this deal I posted about here where you can get FREE batteries from Target?! Well, here is what I got….I will be donating some as well as keeping some for the kids toys. Don’t worry, I didn’t clear the shelves, even after I got all 60 packages there were still a ton left over or I wouldn’t have gotten so many. I ended up paying $3.44 on eBay for the coupons and around $3 in tax at Target so less than $7.00 total for ALL of those batteries! BTW- The cashier didn’t even question the coupon….heck I don’t know if she even read the coupon! She was just in shock that the total went from $63 all the way down to $3…and this is why I use coupons! Target: A1 Steak Sauce JUST $0.59! Here is a great deal on A1 Steak Sauce from Target! Final Cost = $0.59 each! Here are some of my favorite deals at Target this week! Final cost = $0.57 each! Final cost = $0.95 for each pizza! Final cost = $1 for a 4 pack! Final cost = $0.92 each! Final cost as low = $0.19! Final cost = $1.75 for each one! Final cost = $1 per bag! Final cost = $4.82 per pack!